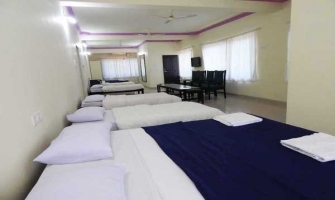 Best Hotels in Goa – Book hotel online to stay in Goa near beach at affordable price with Mygoastay. 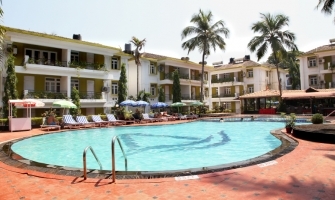 Cheap Hotels in Goa, 3 star hotels in north and south Goa, India. Goa, a laid-back city that offers a bombastic combination of serene beaches and warm and balmy weather makes it the perfect ‘heaven on earth’. It’s a city where hanging out by the beach, cruising on your two-wheeler down green countryside and the must-do evening ritual of watching the crimson sun melt into the water while sipping on a cold beverage and munching on a plate of spicy prawns or butter garlic kingfish – is mandatory! It’s a destination which is made for everyone – spending quality time with family, enjoying some thrilling activities with friends or even watching the sunset with your better half and loved ones. A place you cannot visit just once and mark off your bucket list. After the first, the second visit becomes a longing and the third time it’s a tradition, a pilgrimage, a way of life. You can come back any number of times, while the surroundings change, the essence of Goa eternally remains unchanged and the hospitality of My Goa Stay too stays consistent! Embark on an enchanted tropical journey with My Goa Stay during your trip to Goa. Explore and discover tourism in Goa, a pint-sized land of vibrant cultures (Indian and Portuguese), delightful cuisines, spiritual charm, sugar-coated with the taste of the sun, sea n sands found in the best beaches of Goa, nowhere in India will you find a land like this. Stay with My Goa Stay and get to truly witness the changing hues of Goa from day to night. 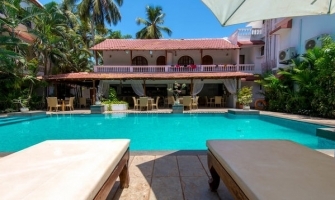 From offering deals with the best hotels in Goa and resorts in Goa, to even budget hotels in Goa and cheap hotels in Goa, My Goa Stay offers just about everything. Enjoy the far-reaching ocean seascapes, amble along the magnificent palaces and forts and relish some delectable Goan food and explore the beauty and charm of Goa through never-ending enriching encounters all along your stay in Goa. Recognized for offering an exclusive flavour of hospitality and top-notch refinement and putting into use, practices from all over India to deliver true Indian hospitality to its clients’, My Goa Stay helps you find the perfect Goa hotel offers to match your budget. Looking for an economical place to stay in the heart of Goa (hotels in Panjim) or an extravagant room for ultimate indulgence (beach resorts in Goa), we’ve got them all. My Goa Stay hotels are a world where there is hands-on and individualised service, where we are striving constantly to please our guests and create pleasant and everlasting memories. Our aim is to build relationships with customers’ that last longer than the stay itself. Done and dusted are the days where a hotel is meant only for ‘stay, eat and leave’. With this in mind, we at My Goa Stay go beyond and walk the extra mile to accommodate and fulfil your memorable visit to Goa. The prime qualities we possess that standout, include, offering support, being cooperative yet not invasive, supportive but never overpowering and tolerant without having to be presumptuous. 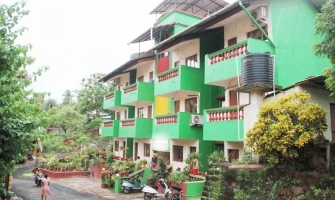 At the end of the day, the staffs of the property in Goa provide prompt and good service with an ever-lasting smile. 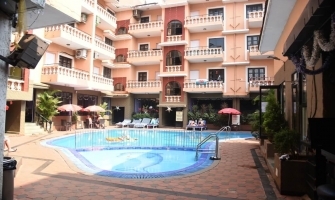 Our choice hotels in Goa, although varying in category, as in, resorts in Goa, beach resorts in Goa, cheap hotels in Goa and budget hotels in Goa, lie in close proximity to the city centre and a tonne of attractions and sightseeing places. Whether fun, getaway, family outing, honeymoon, business or leisure, your needs are taken care of like a king. 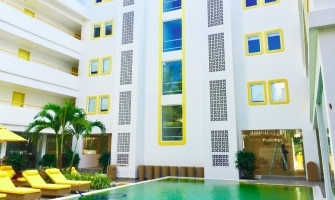 Fitted with world-class and top-notch facilities and amenities to ensure convenient lodging close to the hustle and bustle yet nestled in serene surroundings. From exotic to glamorous to modern, My Goa Stay lends you a helping hand in every step of the way to help plan and conduct your destination wedding ceremony. Celebrate the beginning of a lifetime, the way you’ve dreamed, by booking with one of the best hotels in Goa or best beach resorts in Goa. For group bookings for weddings, from stay and accommodation in Goa to food and beverages, all hospitality and logistics needs are met with by us. 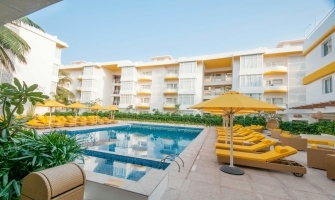 Other hotel packages we offer include Goa honeymoon packages and even some seasonal packages which come handy during summer/winter vacation time. Apart from destination weddings, we undertake booking for corporates and events as well. As a corporate, all your needs can be attended to by us. All in all, all requirements of corporates to weddings to family leisure, to school groups, college groups and even free independent travellers are met with. Because experience speaks volumes, we know what you need and whatever you seek, we will help fulfil it.